With the motto ‘Lord crown us with glory’, the shoemakers belong to a trade steeped in tradition. Their patron saints are the St Crispian and St Crispinian – brothers said to have settled in the 3rd Century to preach the gospel and who, according to legend, worked as shoemakers by night. It has been said that the angels supplied St Crispian and St Crispinian with materials for their work – with French shoemakers naming their tools of the trade in their honour. October 25, the date on which they were martyred, remains a special anniversary for the trade across the world. Commonly known as cordiners, the shoemakers were among the earliest members of the Seven Incorporated Trades of Aberdeen in 1484 and today maintain their place at the heart of the modern organisation whilst never losing sight of their heritage. 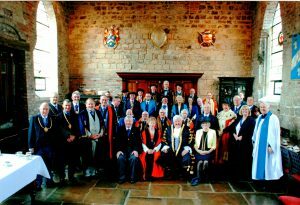 For a number of years the Deacon Convener of the Seven Incorporated Trades has been invited as a guest to the Election of the Master Cordwainer of York. Along with the Deacon of the Aberdeen Shoemakers Incorporation, Mervyn Donald and his wife Margaret, the Deacon Convener was represented by Late Deacon Convener David N Parkinson and his wife Margaret. After travelling down on the Friday, an invitation was extended to attend an evening meal at the Grange Hotel with the Masters and Clerks of the London Livery Companies associated with the leather industry, along with the Master Elect, Clerk and Dinner Convener of Cordwainers of York. In all, 39 people sat down to an informal dinner. After the meal, a surprise was sprung on the Masters and Convenors to each give a piece of advice to the new Master Elect from their personal experience, thinking on your feet did not seem to unduly worry those present. 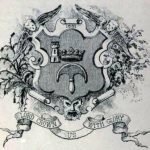 On Wednesday August 19th 2015, the two new members of the Shoemakers Incorporation, Alastair Walker and Mark McCue were installed as Burgesses of Trade at a ceremony held during a full council meeting at the Aberdeens Towns House. 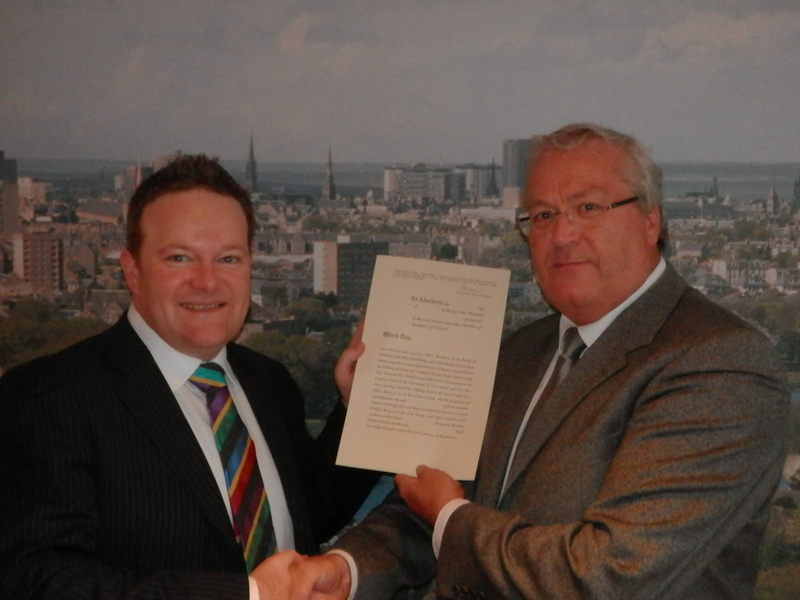 Both Gentlemen were admitted as members of the Shoemakers Incorporation in April. 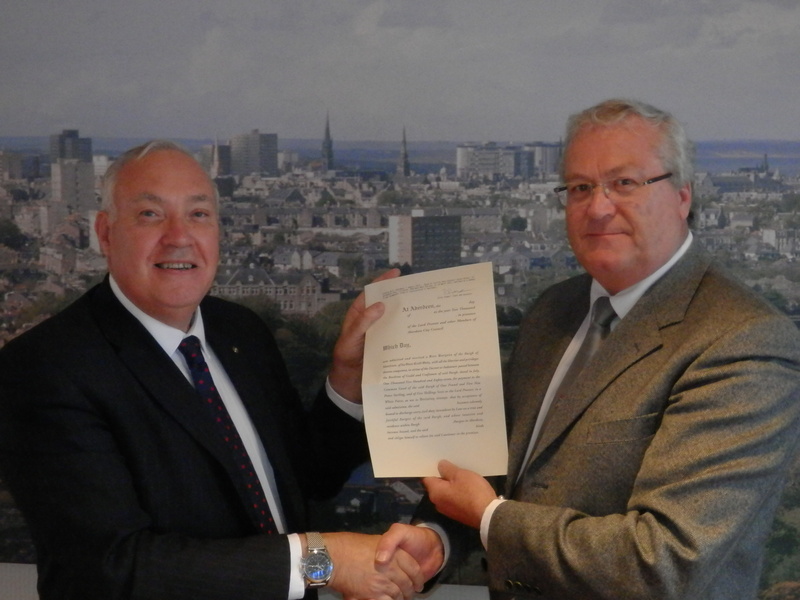 The Late Deacon Convener, David N Parkinson, standing in for Deacon Convener Sandy McKinnon, presented the applicant to the Provost and Council for admission as a Free Burgess of the Burgh of Aberdeen of his own Craft only. Traditionally new members only had the right to vote at Trade meetings once they had been accepted as a Trade Burgess. The eldest member of the Shoemakers Incorporation is John Edward Harwood, who was born in Nigg on 8th April 1921. John served in the Second World War and was awarded the 1939-45 Star, France & Germany Star, Defence Medal, Palestine Medal, 1935-45 Medal and the Territorial Efficiency Medal. He is registered in the members of the Shoemakers Incorporation as having entered the Trade on 10th December 1974, made a Burgess of Trade of the City of Aberdeen in February 1975 and Burgess of Guild the same year. John was elected as Boxmaster of the Trade in 19683 and 1984. Thereafter, he was elected as Deacon in 1985, 1986 and 1999. John worked as a Retail Manager and Company Director of John Dunn Shoes in Aberdeen. Late Deacon Brian Donald of the Shoemakers Incorporation was elected as Factor of the Trade Widows Fund (TWF), the first Shoemaker to hold this position. Coming at a busy time for the TWF, the Incorporation wish Brian well in the coming years. In February this year, Shoemaker Albert Thomson was made an Officer of Merit in Military & Hospitaller Order of St Lazarus of Jerusalem. This was in recognition of his charitable work for the Order and as a trustee of the Dame Bebe Barwiss-Holiday Memorial Trust, which was formed to advance the treatment of diseases and ailments of the eyes or skin. In 1715 and 1745, the Aberdeen Shoemakers Incorporation was a hot bed of revolt during both the Jacobite rebellions. There are numerous references to the members of the trade and their apprentices being involved in illegal activities at the time of the rebellions. There were at least two members of the Incorporation involved in the Battle of Culloden and it seems that the Trade in general favoured the Pretender. As a result, in 1746, all members of the Shoemakers Trade and new members of the future were required to take Oaths of Allegiance (to the King) and of Abjuration (disowning the Pretender). For this historical insight, we refer to a member of the Shoemakers Trade with the wonderful name of Hercules McCook, who is listed in the members register as entering the trade on 17th April 1749. The second weekend in May, so it is the York Cordwainers Dinner. For a number of years the Deacon Convener of the Seven Incorporated Trades has been invited as a guest to the Election of the Master Cordwainer of York Celebration Dinner. This is, however, a long way to go for only one evening so it’s normally a weekend away. 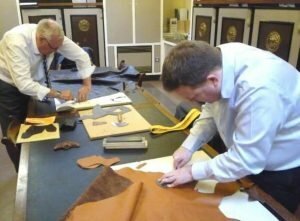 As the Cordwainers include Shoemakers, a further invitation has recently been extended to the Deacon of the Aberdeen Shoemakers Incorporation. 12 May Charity Grand Slam! Local charities are better off thanks to the Aberdeen Shoemakers Incorporation. 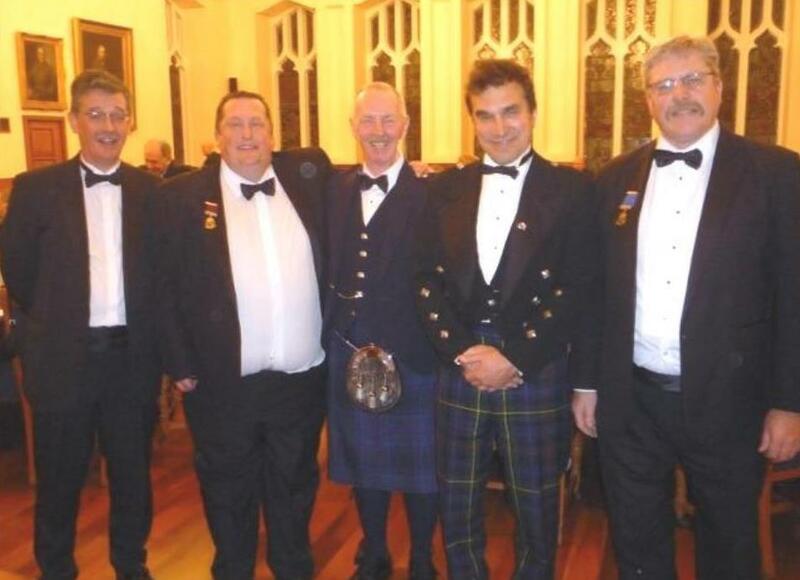 The fund raising dinner held on 9th May 2015 at Trinity Hall was a roaring success with a warm up act from former policeman, rugby-nut and well-kent after dinner speaker Gordon Bradley, who was full of good humour and appropriate insults for former colleagues in the emergency services who were present. Gordon entertained the audience providing a great platform for the main speaker Iwan Tukalo, a member of the Scottish Rugby Grand Slam winning team in 1990. Iwan, who won 237 caps for his country, provided a fascinating insight into the Grand Slam season taking questions and answers from the audience. Gordon Bradley then acted as auctioneer where numerous sports and other items were available. Douping is the traditional method of ‘introducing’ new members to the Shoemakers Trade. In old Scots, the doup is the bottom of anything, including the buttocks. Annually, the Shoemakers Incorporation annually ‘rode’ the marches or visited the property and land they owned. If a new member was present, he was douped on one of the march stones. The method being that he was lifted by the other members and placed three times on his doup on the stone. The Trade uses the march or Douping Stone on Watson Lane off Rosemount Place, although others were apparently used in the past. 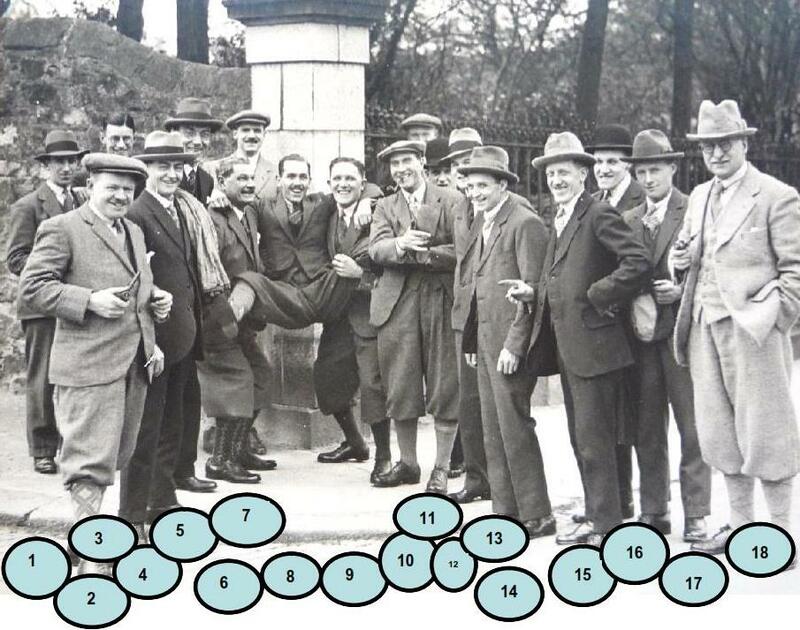 Of historical interest, below is a photograph of Eric Munro being douped circa 1929, having joined the Trade on 1st November 1928. 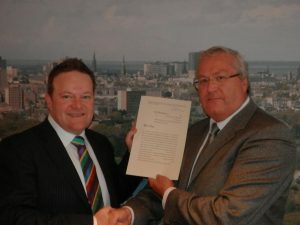 On Tuesday 14th April 2015, Mark McCue, a private banker and stockbroker and Alistair Walker, a chartered surveyor, were admitted into the Shoemakers Incorporation. Through an Act of Parliament in 1424, craftsmen including Shoemakers were permitted for the first time, to elect a Deacon to represent the Trade. In 1520, a Seal of Cause was granted, permitting the trade to form as an Incorporation. Potential members had to prove their worth as shoemakers by making and presenting to the Trade, a pair of shoes or boots made “by their own hands”. This is called an Essay Piece (Initially known as a Sey or Masterstick) and overseen by Essay Masters.